Sometimes the STRANGEST things happen! They might be spooky, gross or just plain weird but chances are science can explain them. 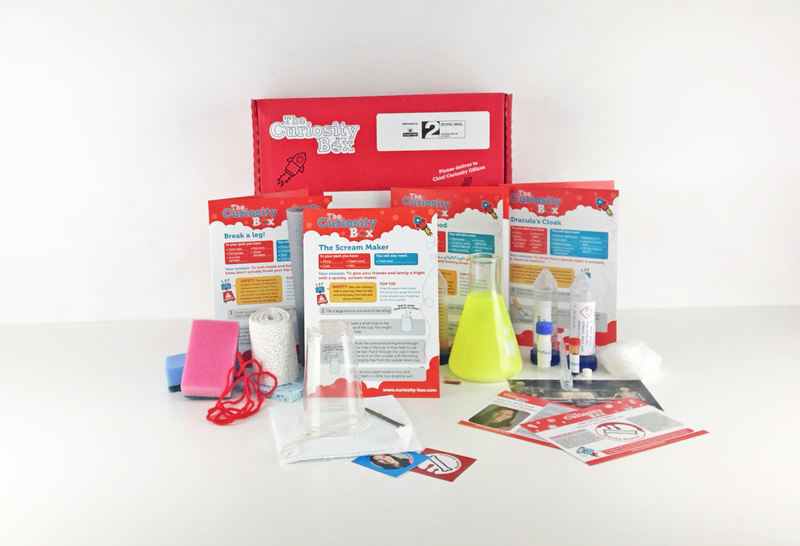 This Spooktacular Sciency Box includes 4 activities and a glass conical flask as the collectable item. Learn about and make your very own bone in our Break a Leg activity, make colours disappear in our Draculas Cloak activity, make a horrifying glowing mixture with raining and floating drops of blood in our Raining Blood activity...gruesome! And finally give your friends and family a fright with a spooky, scream-maker activity!